For as long as I’ve been producing I’ve had respect for Dinma. His consistent work and ear for a certain melancholy sound has intrigued me from the jump. I’ve even produced 2 seperate entire beat tapes sampled strictly from Dinma’s collection. With this collection of samples, I will try my luck with a third volume. I’ve put together a collection of Dinma samples I’ve downloaded from his site and packed them into one file. One pack is just samples, and the other pack is just drums. This isn’t every sample from his catalog, but it’s a decent start. In the original format (wav) the size of the folder was close to 10GB. At the demise of audio snobs, I’ve converted them into MP3 reducing the size to a reasonable 3GB. 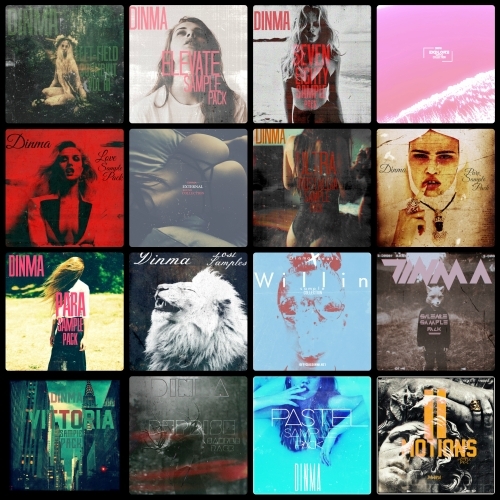 If you are unpleased with the format conversion, feel free to go to Dinma’s site and download the 50+ individual sample packs one by one.